Now that the Rolls Royce Phantom VIII is here, its older siblings’ are all ticking closer to the day when they’re put out to pasture. Soon, cars like the Ghost, Wraith and Dawn will be replaced with newer cars built on the new Phantom’s platform. However, those older cars still have a lot of offer and we get to see that in this new Carfection review of the Rolls Royce Dawn. 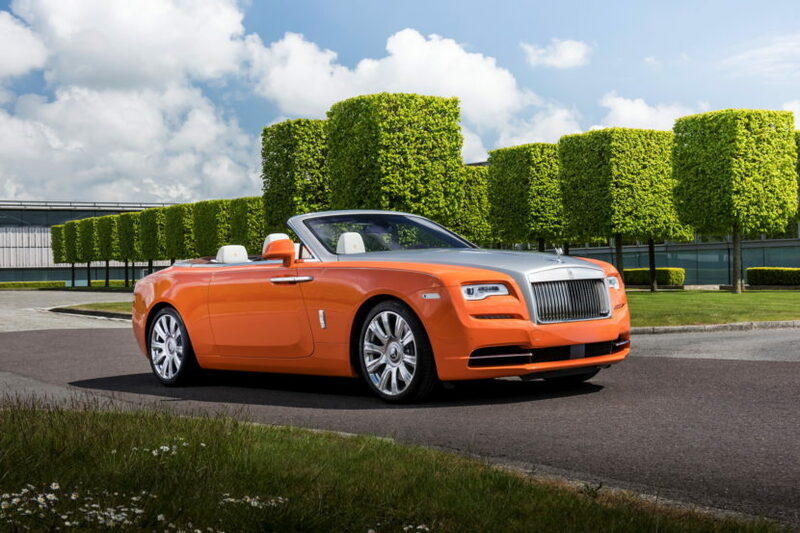 The Rolls Royce Dawn is the brand’s only convertible at the moment, now that the Phantom Drophead Coupe is dead. And it’s one of the very best looking convertibles on the market. With a brutish but elegant shape, a folding fabric top and the sleekest top-down profile in the game, the Rolls Royce Dawn is gorgeous. Though, would you expect anything else from Rolls Royce? When it comes to driving the Dawn, it really does epitomize the very essence of the brand. There isn’t a hint of sportiness about it, just effortless, sumptuous luxury and style. With the top down on a beautiful day, there may not be a more relaxing, stylish and enjoyable way to get from one place to another. You sit in a wonderfully luxurious cabin that’s filled with some of the richest leather on the planet and features the highest level of craftsmanship in the auto industry, save for the new Rolls Royce Phantom. As always, this video is beautifully shot, especially toward the end where Carfection’s Henry Catchpole figures out how to replace the starlight headliner that graces all fixed-roof Rolls Royces but not the Dawn. If you’ve never driven, or even been in, a Rolls Royce before, this video perfectly encapsulates what it is to drive one. Since driving the Dawn’s coupe sibling, the Wraith, I’ve said that nothing drives like a Rolls Royce. Nothing. And this video explains why.